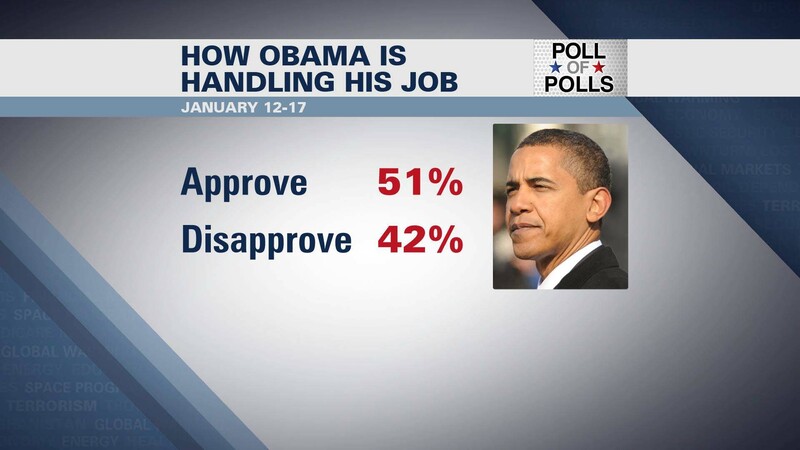 A new CNN poll of polls shows a majority of Americans approve of how President Obama is handling his job. We want to know what you think about the President's first year. Complete this sentence, "President Obama's first year..."
Kyra will read some of your comments on the air between 10 am and 11 am ET. This "Poll of Polls" consists of four surveys conducted in the past week: Fox News (January 12-13), ABC/Washington Post (January 12-15), CBS (January 14-17) and the Gallup tracking poll (January 15-17). The Poll of Polls does not have a sampling error.